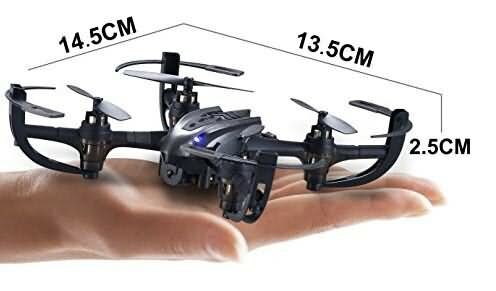 There are so many varieties of drones available in market; one of the most common factors to compare them is their size variation. 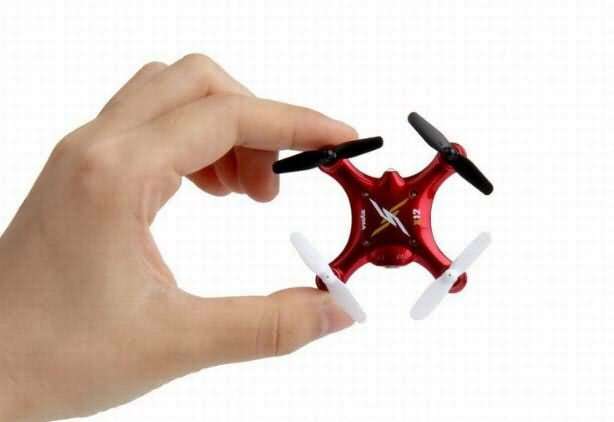 You can easily find many attractive nano drones that can fit to your palm, they are able to fly same as recreational drones but beginners find them much easier to operate and control. 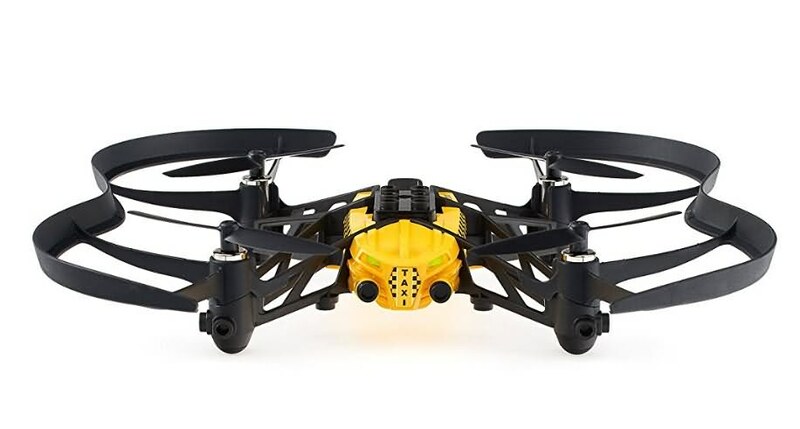 If your kids are asking for a drone eagerly but you cannot spend more out of your budget then it is good to look for designs that fit your pocket. The micro quadcopters can solve your purpose if your children are at learning stage. An advanced compact quadcopter design can perfume much better than a average drone. As these drones are available with small price range so they suit budget ranges of all beginners. Such low price devices can help them to learn flight control mechanism with ease because it is not advisable to start directly with heavily priced units. If they crash, they are going to suffer minimum damage and will keep the situation out of trouble. 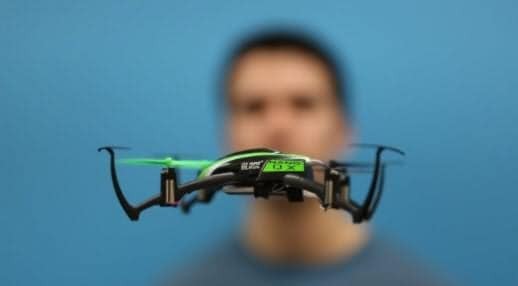 Nano drones possess overall weight of nine ounces so users need not to follow the formalities to register them with FAA. They take very less time to charge as they hold smaller battery units. Nano Drones suffer with lack of professional camera lenses because these lenses use to be very heavy and a compact drone unit such as nano version cannot carry this weight in air. 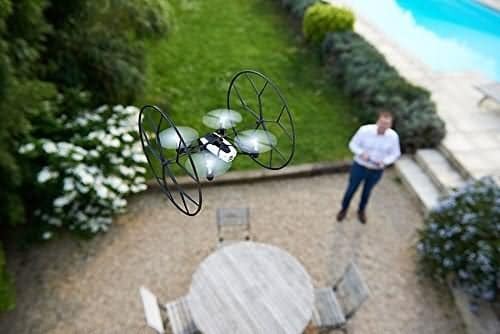 Mini drones are not able to ensure rich quality of recorded footage; you might have to make few compromises regarding resolution level and footage stability. These devices are equipped with very small batteries due to their compact size so they are able to spend less time in air as batteries get discharged fast. 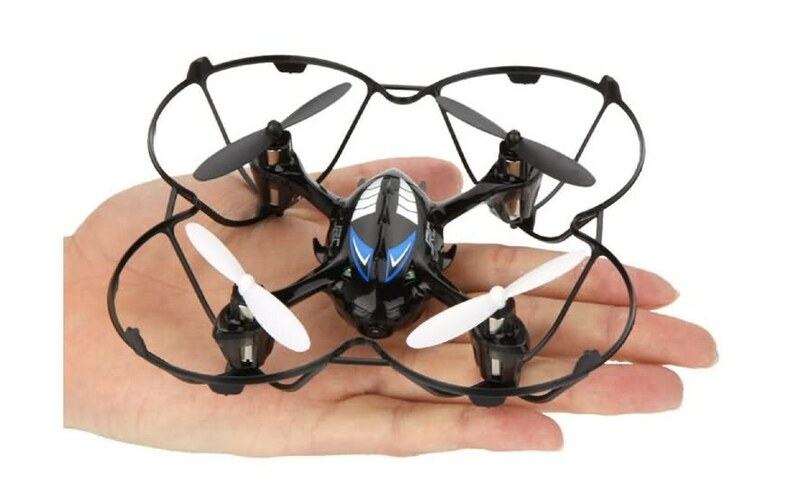 Here is an excellent compact sized drone for you that offers 6 axis type flight controls in air and can perform impressive barrel rolls with 360 degree motion. Its performance is really stunning with great stability and movements can be easily established with simple control button functionality. Users can have improved control over low and high speed movements. The 2.4 GHz radio is added to support spread spectrum technology so that interference free flights can happen. This device can spend 6 to 8 minutes in air with its 30 minute battery charging time. You can buy it in attractive green, silver, black and white colours. EACHINE E010 is a well designed mini quadcopter that supports all beginner suitable features with ease. If you want to enjoy flights around your house then it is good to spend on Mini UF0. The best thing to know about this recently launched device is its propeller ducts that make its body highly durable so that you can easily bounce off the walls without suffering any harm. It is a great choice if you want to gift a unique stuff to some of your friend or relative on his upcoming birthday. It can spend 5 minutes in air whereas 45 minutes are required for full charge. Here is one of the most compact and attractive quadcopter designs for your preference list. It is designed with sturdy plastic material and offers trim details. You will love to explore night flights with its active LED indicators at back and front portion whereas 3 gyros, three accelerometers and specially designed 4 motor speed controllers make it perfect for your routine needs. This device can spend 8 to 10 minutes in air and will take about 30 minutes to get fully charged. When you order it, product comes with a user manual, 4 spare rotor blades, USB charge cord, LiPO Batter, 2.4 GHz radio and the drone itself. Hasakee is highly rated beginner friendly drone unit that possess so many advanced flight controls and assists kids with amazing flight experiences. It possesses a 0.3 MP camera unit that supports fine quality of photos and videos whereas the 6 axis type Gyro System makes everything smooth and highly stabilized. This drone can handle light in air crashes and you can easily monitor its flights via navigation features. It needs 30 to 50 minutes for full battery charging and then you can enjoy 5 to 7 minutes in air. It appears small by size but actually possesses lots of power inside. The mini size makes it suitable for indoor flights as well as for outdoor adventures. You will be glad to avail highly stable video recordings with its 6 axis type gyroscope feature and three classic flight modes assists beginners with improved control over all settings. You can easily switch between responsive, fast and sturdy modes to add more fun into flight hours. The best part is its ability to perform 360 degree adventurous roll over. You will need to plug in into charging slot for 60 to 80 minutes for full battery charging but it can spend only 6 to 8 minutes in air. It features advanced 6 axis type adjustable gyroscope that allows much better stability during flights. Developers have added 2.4 GHz frequency feature into it so that all flights can go on without any unwanted disturbance. This device is equipped with speed up function and there are four different modes for flight selection like left, right, backward and forward. This device can stay in air for 7 minutes but it demands 60 hours for complete charging. The best part is that it is designed with sturdy material so that even at the time of sudden air crashes it suffers least damage. 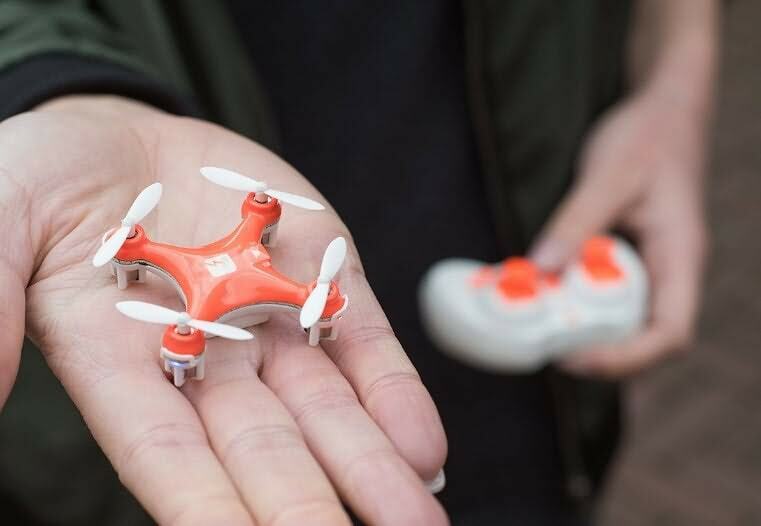 Nano QX is a mini quadcopter that makes flights fun oriented and its compact size allows users to take it to any difficult location. Beginners will love to explore world of drones with its Sensor Assisted Flight Envelop technology that adds easy functionality to all controls. Those who have least experience of drone flights can enjoy RC flights even by applying least efforts on this device. Nano QX supports maximum flying time of about 6 to 8 minutes and it will take 25 minutes for full battery charging. Here is one of the most amazing and well designed products for you if you love to explore impressive flights. It is designed with Bluetooth smart technology that assists in easy connectivity to tablet as well as smart phone devices using dedicated application: FreeFlight3. 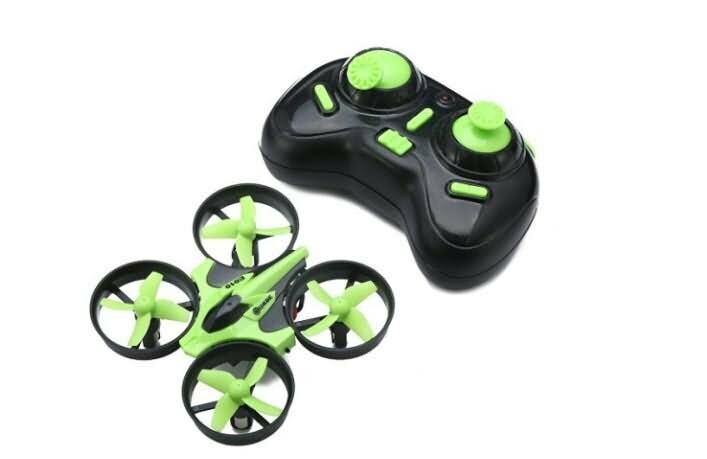 You can have lots of in air fun with this rolling spider that can roll with 360 degree movements while completing all control tasks in very effective manner. It can easily fly up to 18 Km per hour and you can buy it with three attractive colours: red, blue and white. It can stay in air for 6 to 8 minutes. 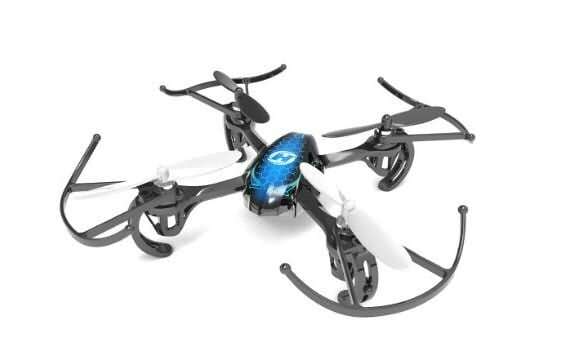 This well designed quadcopter unit can serve beginners with impressive flight hours and as it is a compact lightweight device so you need not to go for FAA registration. Its body is designed with shock resistant material and it works with high durability in air. It possesses a 550mAh battery unit that needs maximum 25 minutes for complete charging and then it can stay in air for 9 minutes. Users can easily connected this device to their smart phone or tablet using Free Flight Mini application. If you are crazy about thrills, power and skills of drones then Skeye Mini is best choice for you. It has compact size but allows easy on air navigation. Skeye Mini is designed with 4 advanced coreless motors so that flyers can enjoy versatility during flights and enjoy impressive vertical climbs on air. It will impress your friends with stunning turning cycles, banking turns, figure if eights in air and many more. Users rate is a suitable device for indoor as well as outdoor adventure needs. This device can stay in air for 7 to 8 minutes and is capable enough to travel up to distance of 80meters. You need to wait for 30 minutes to charge it fully.